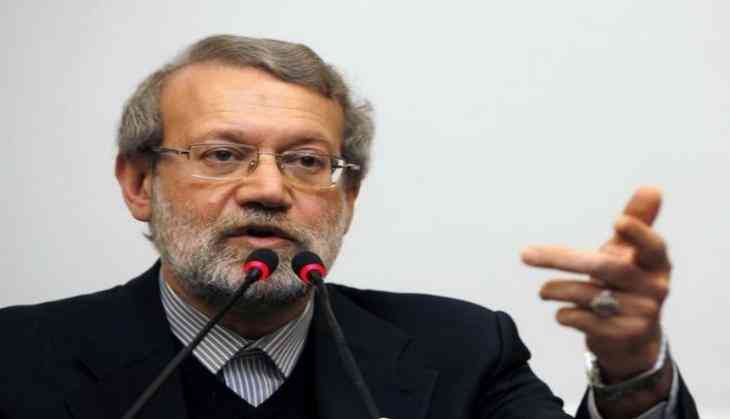 The Speaker of Iran's Parliament, Ali Larijani has said foreign troops in Afghanistan are unnecessary, as the latter is capable of fighting terrorists on its own. Larijani made these remarks during a meeting with his Afghan counterpart Abdul Rauf Ibrahimi on the sidelines of Second Meeting of Eurasian Parliament Speakers on Tuesday. He asserted that foreign troops in Afghanistan under the pretext of fighting terrorism have hindered the country's progress. Larijani assured that Iran will help Afghanistan in battling terrorism. He noted that reorganizing Afghan forces to fight terrorism is necessary. IRNA quoted Larijani as saying that Iran has emphasized on the need for unity among Afghan political forces as gaps among the forces will have plenty of negative impacts. Afghan parliament speaker said that Iran has always stood beside Afghanistan. Ibrahimi condemned the twin terrorist attacks in Tehran and said that Afghanistan is seeking a suitable solution to tackle terrorism so as to stop it from spreading to other neighboring countries.